For over two decades ITIL(R) has informed the way in which IT delivers services to customers while remaining methodically in-synch with the needs of business. ITIL(R) best practices have helped business better manage IT assets, cut costs, provide better customer service, improve internal communications and much more. A cottage industry has emerged offering formal ITIL(R) trainings and certifications. IT professionals with ITIL(R) know-how enjoy a preferred status among hiring managers and executives. Meanwhile, ITIL(R) consultants regularly show up at the doorsteps of business across the globe committed to revamping underperforming, uncommunicative and non-service oriented IT departments. ITIL(R) For Beginners breaks this robust IT framework down into its five core lifecycle phases and reviews the processes, sub-processes, and evaluation metrics (KPIs) associated with each phase. 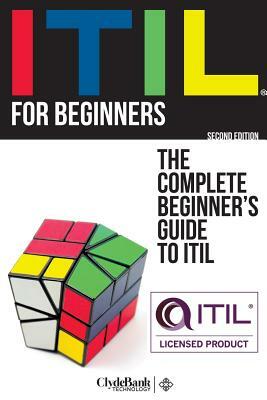 This beginner-friendly text is easy-to-read and fully accessible to ITIL(R) newcomers. For IT professionals already familiar with one or more of ITIL(R)'s lifecycle phases, this book will provide a breadth of context for ITIL(R)'s summary-level functioning and may be used as a decision-making aid for those considering an in-depth study or certification in a certain area of ITIL(R). ITIL(R) For Beginners was reviewed and licensed by Axelos, the government-sponsored publisher of ITIL(R). We at ClydeBank Technology, the publishers of ITIL for Beginners, are grateful and excited to be sharing our work on this interesting subject here on Amazon and across a multitude of other distribution channels.